Property Details: 3 Bedroom, 3 Bathroom Vacation Rental, sleeps up to 7. Beach Colony condominium, beach resort home in Perdido Key. Welcome to our luxurious and fully equipped condo in the exclusive Beach Colony Resort, a private gated community. With an ideal third floor location, you will enjoy an incredible view of the gulf and pool without the uneasiness of being on a high floor. Each floor in the building has only four units with private elevator access codes. The unit is 1,750 square feet of heated/cooled space and has been professionally decorated in a tasteful and comfortable Florida motif. Designer furniture including soft overstuffed sofas and chairs, plus 'top of the line' pillow top bed mattresses are featured. The condo is also equipped with mostly large, flat screened televisions, each with a DVD player, in the living room and all 3 bedrooms. We also provide high-speed internet with wifi capabilities. Beach Colony Condo Rental in Perdido Key FL..
Perdido Key, located on the Florida Panhandle, has a warm subtropical climate, with an average temperature of 75 degrees and 343 days of sunshine, is an unincorporated community in Escambia County Florida located between Pensacola, Florida and Orange Beach, Alabama - no more than a few hundred yards wide in most places, Perdido Key stretches some 16 miles (26 km) from near Pensacola to Perdido Pass Bridge in Orange Beach. To the south of Perdido Key is the Gulf of Mexico, with its white sand beaches and clear blue waters. North of Perdido Key are Old River and the Intracoastal Waterway. Perdido Key has a variety of accommodations, including vacation rentals by owner and popular hotels close by. 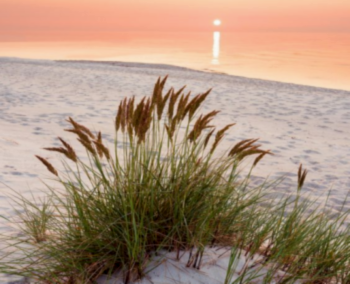 If you're looking for resort property, outdoor activities, dining on fresh seafood....or just a relaxing day at the beach, Perdido Key has everything for the ideal beach vacation..